Marriage is a sacred bond between two people that love one another. It takes time, hard work, and dedication to really make it work. Unfortunately, outside elements sometimes take a toll on a marriage, causing couples who once vowed to make it through sickness and health to drift apart. Often times, money plays a large role as one of those elements. 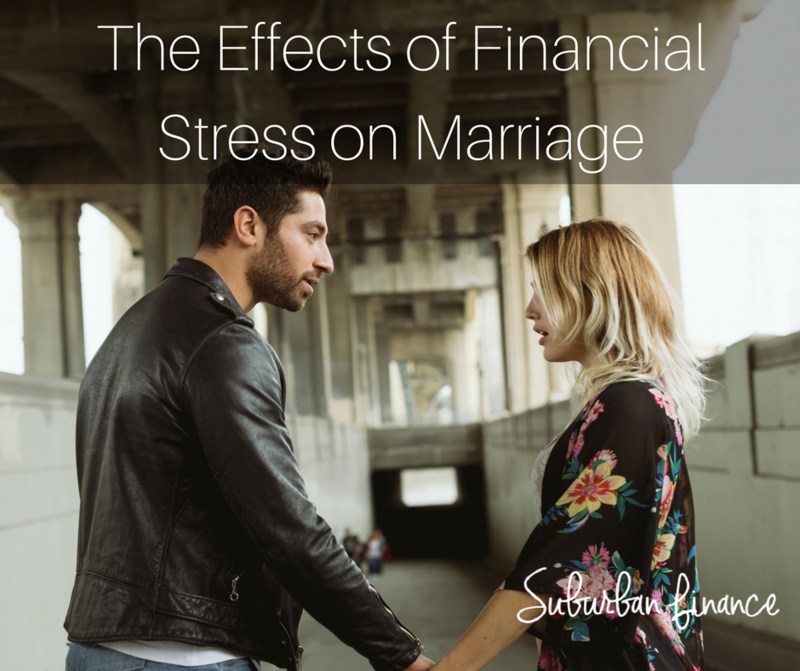 So, what are the effects of financial stress on marriage? How does it impact us psychologically and physiologically? No matter what your social status is or your demographic, none of us are safe from the grips of the pressures that weigh on our relationships. Marriage, in particular, is arguably one of the hardest relationships to maintain in our lives. Not only does compromise come into play but money does as well. From budgeting to spending, these decisions can make or break your relationship. But, what are the actual effects of financial stress on marriage? Generally, this financial stress feeds into feelings of feeling incapable and developing unrealistic expectations of ourselves. If left alone, these effects can escalate and turn what was once a healthy and empowering environment into a dark and desolate place. When this happens, we may not understand why our body is reacting to stress this way, and we may try to play the blame game. However, it’s important to remember that instead of allowing ourselves to adapt to this way of living, we need to fight it. What can we do? When you first get married, you likely have an excellent perception of your spouse, Benjamin R. Karney of the American Psychological Association wrote in this 2010 article. Over time, however, that perception can dwindle, depending on how positive you are able to stay about your relationship. This, Karney writes, is what happy couples do; they are able to turn their spouse’s shortcomings into explanations of a bigger picture. He uses the example of defining your significant other’s distance one evening as a result of a bad day at work rather than a lack of interest in you. Recognize your own faults/contribution to the financial issues. Instead of placing blame, take a look outside of yourself and see how you might also be contributing to any monetary problems happening in the household. Talk to your partner. Although conversation about money (budgeting, the what-ifs, etc.) should ideally happen prior to walking down the aisle, it is sometimes still not enough to keep the strain away. Have recurring conversations with your spouse about the budget and managing the money, and see what you can do (together) to make positive changes. Get it down on paper. Karney recommends what he calls a Financial Performance Improvement Plan, where you identify two to three specific setbacks with money and create a solution for each. Be as specific as possible and create a deadline to ensure follow-through. Repeat as much as necessary until you have a potential solution for each money problem. Don’t forget to nourish the relationship. Just because you have financial stress does not mean you need to neglect the emotional aspects of your marriage. As you try to improve your situation, consider cheap date nights or weekend getaways that fit your budget. Talk to a therapist. You should consider talking to a therapist, either together or separately, to overcome any of the psychological and physiological impacts that may have already begun to take place from the effects of financial stress on marriage. This is especially true if you are having suicidal or hopeless thoughts and have a hard time feeling motivated to work and so on. Being healthy and taking care of yourself is extremely important in maintaining wholesome relationships both within and outside of your marriage. Anyone can be a target to a marriage dealing with economic issues. Financial stress does not have to mean a lack of funds; it can also mean not agreeing on how to spend the combined income. It’s OK to ask for outside help from friends and family members to see how they may be able to relate or what input they can provide as an outsider. Sometimes, the simplest solution is taking a look outside of ourselves so that we can help ourselves. What is your take on the topic? What advice would you add?